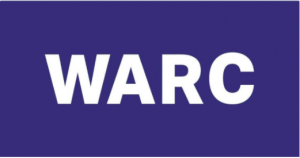 ITW for Warc about Laurence’s secret – JULIEN.LEVEQUE. PARIS: Following a hugely successful Instagram campaign that showed how easy it was to miss the signs of alcoholism, a French addiction support organisation, Addict’Aide, needed to continue the story; through an immersive experience, the 2017 campaign let fact bleed into fiction. “Women and alcohol is a subject that no one really talks about in France, yet we know it’s a problem. There are a lot of women who are drinking too much, and also alcohol brands target young women a lot,” explained BETC strategist Julien Leveque. It gained global visibility in 2017 with its Like My Addiction campaign won 19 Lions at Cannes with a campaign depicting an ‘it girl’ for whom a drink was never far away. Though the campaign launched on 12th Feb, Addict’Aide has registered an increase in traffic to its site since launch. “Awareness is a big thing for Addict’Aide because it is not well-known. We want to create a reflex, so when people have a problem with addiction, they will go straight there”, Leveque said. Previous post NecroTech -Team éternité ou Team deuil ?